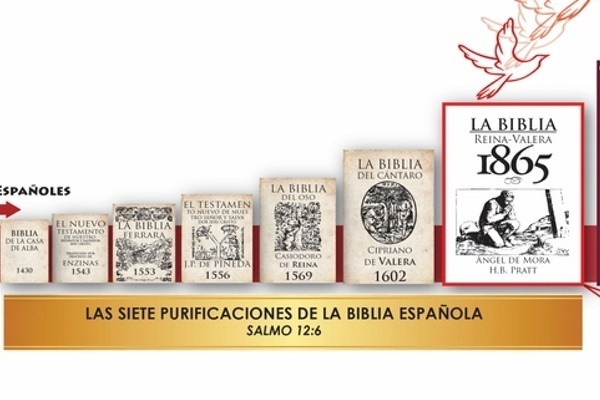 We are excited to be going to print again with the Reina-Valera 1865 Bible, the last Spanish Bible faithful to the Received Text of the Protestant Reformation, and the last true "Reina-Valera" Bible. All funds received via this GoFundMe campaign will go toward the typesetting, printing, binding, and (if there's any left) shipping for the RV1865 to get to believers in Latin America. Within the next few months, we hope to have new Bibles rolling off of the press. Work on the digital preparation of the text is already underway, and soon the only thing standing between us and printing will be the cost. Please consider contributing financially so that Spanish-speaking believers can have access to the word of God in their language, uncorrupted by the Critical Text. Thank you for your consideration, and we pray that the LORD will bless your sacrifice for His glory.